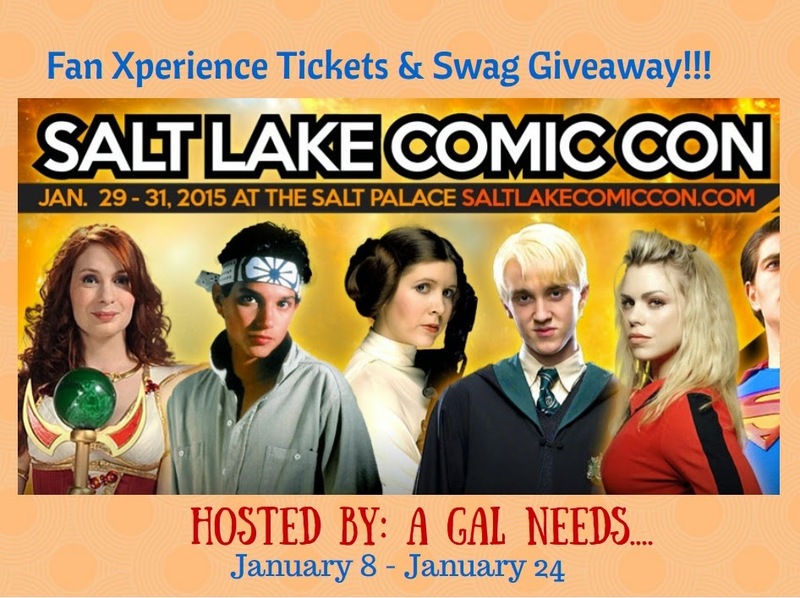 A GAL NEEDS...: Salt Lake Comic Con Fan X 2015 3-Winner #Giveaway! Salt Lake Comic Con Fan X 2015 3-Winner #Giveaway! The wildly popular Kid Con is back too! It's back! One of the most popular events ever and popular around the whole country, as people join in the fun of dressing up and "becoming" their favorite characters from cartoons, t.v. Shows and movies! For Those of you who attended Salt Lake City Comic Con in September 2014 and came away wanting even more, I've got great news! Salt Lake Comic Con Fan Xperience is back, with a smaller, high-quality event with event founders Dan Farr and Bryan Brandenburg announcing a significantly lower amount of tickets being allotted. There will be only 50,000 tickets per day, as compared to the maximum crowd attendance of 120,000 people one day at Comic Con 2014, overwhelming the arena on opening day in September. With this and other improvements, this year's Salt Lake City FanXperience shouldn't be one to be forgotten for those privileged to attend! As a volunteer and attendee at the SLC Fan X 2014 I can attest there is something for everyone and it brings out the inner nerd in all of us! It brings the whole family together, as the kids can dress up, attend KidCon and see other kids dressed up in their favorite characters. Also, with one-of-a-kind vendors congregating at the event, you'll be sure to find gifts and collectibles you could never find on Amazon. The Comic Con Organization also gives back to the community. They have worked to donate and work with 18 charities and public organizations including Boy Scouts of America, Firemen & Friends For Kids, Huntsman Cancer Institute, & Intermountain Primary Children's Hospital. Also, in the near future, they will be partnering with the American Red Cross at the event itself. If you aren't impressed with huge, pressing crowds, this is the event for you. With the huge crowds of September still in many people's minds, it might be appropriate to understand what actually happened. Basically, the founders didn't realize the huge popularity of the event. Complimentary tickets were given out as a gesture to schools, law enforcement personnel, fire department personnel, military and individuals in need. This is a standard procedure for most major events and the average redemption rate for an event is under 25%. But for this hugely popular event, the redemption rate for these tickets alone was at 97%! This put the already highly attended event over the top! Now the organizers of Comic Con are excited to put their experiences to great use and Fan Xperience 2015 will be amazing! This year's star roster includes Carrie Fisher, Morena Baccarin, Felicia Day, Tom Felton, Brandon Routh, Christopher Lloyd, Alaina Huffman and many more! I, along with my two lovely Co-Hosts, Housewife Eclectic and Dawn's Delights, am pleased to announce that 3 winners will be able to participate in the fun and excitement of Comic Con Fan Xperience 2015! 1st Prize - Two 3-day passes to Fan Xperience 2015! 2nd Prize - One 3-day pass to Fan Xperience 2015 and 3rd Prize - 2 Commemorative Collectible Pins from Comic Con Fan X 2014 and 2015! Enter the Rafflecopter Form below! Good luck! Please consider liking each and every one of the participating bloggers on Facebook! We work hard to bring great information and giveaways like this to you! This blog did not receive any monetary compensation for this giveaway. Also, this giveaway is no way sponsored, endorsed by, affiliated with, or associated with Facebook, Twitter, Pinterest, Google or any other social media platform. No participating bloggers are responsible for delivery of prizes. 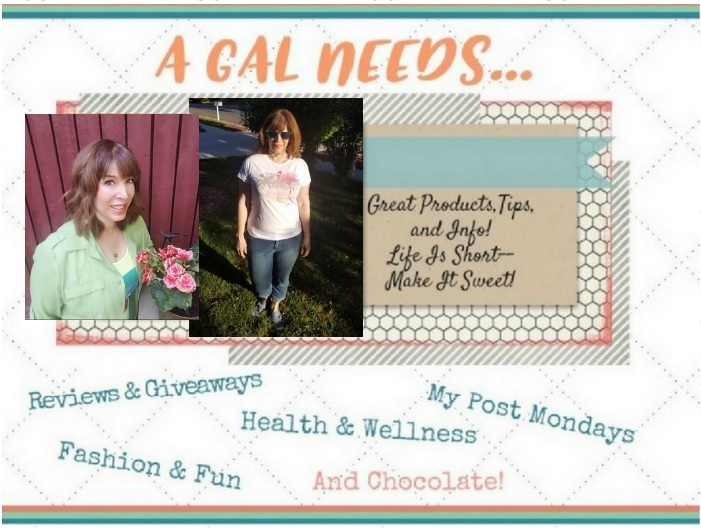 Thanks to all the Utah Blogs who participated along with A GAL NEEDS...to promote this giveaway. Also special thanks to Troy Hulse, Sr. Volunteer Manager, at Comic Con! Such a great blog and a great contest, thank you! This sounds like a fun event. My boys would love to go to this. My son, his wife, and my daughter have gone to the SLC comiccon for 2 years now and they have so much fun. They always go in costume. The costumes my daughter in law makes are so realistic that they end up spending lots of time with people who want photos. Plus, they ended up in the paper. I didn't know there was a comic con in salt lake. I went to the last Comic con and honestly, it was awful. I'm planning to go to this one, but I'm worried that it will be another disaster. This will be the first comic con we will be missing and I'm already feeling lost! These events are a blast. My only suggestion is that if you want to see Studio C... get in the line early. We missed getting in by six people! Wow, that's disappointing. I hope you get to go again and see them. I've gone to Studio C and they are certainly worth seeing in real life. Hilarious!